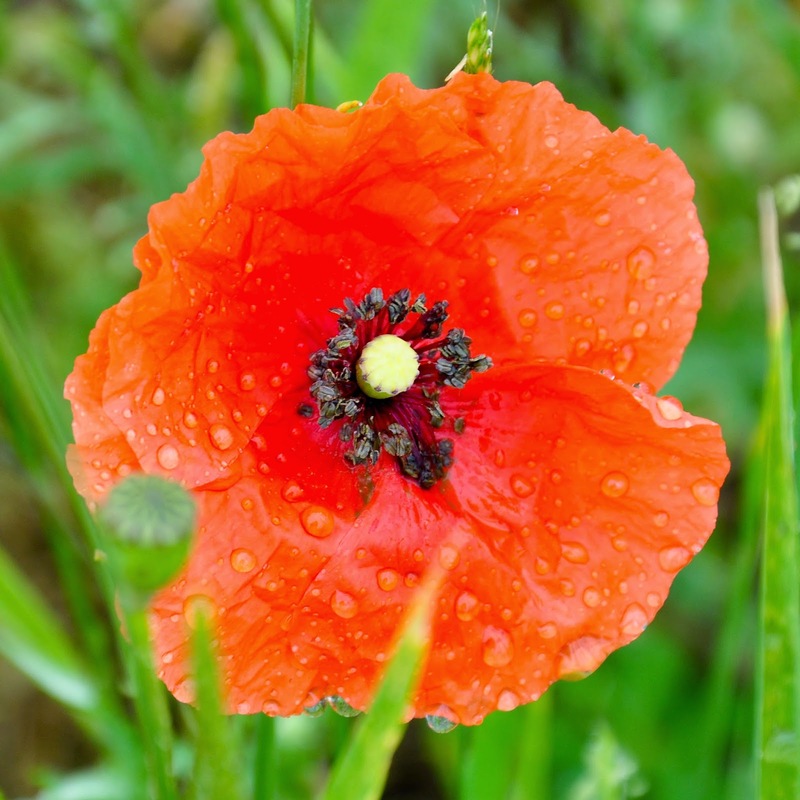 Today was the day that we went poppy spotting. It just happens that it has been raining for the past four days, so our little adventure turned out to be quite muddy. Yet it was so beautiful, nevertheless. Photos of dreamy Italian fields ablaze with poppies have been popping in my Facebook news feed for about a week now. So, I decided that on the weekend we needed to drive out of town and look for our own poppy field to admire and photograph. 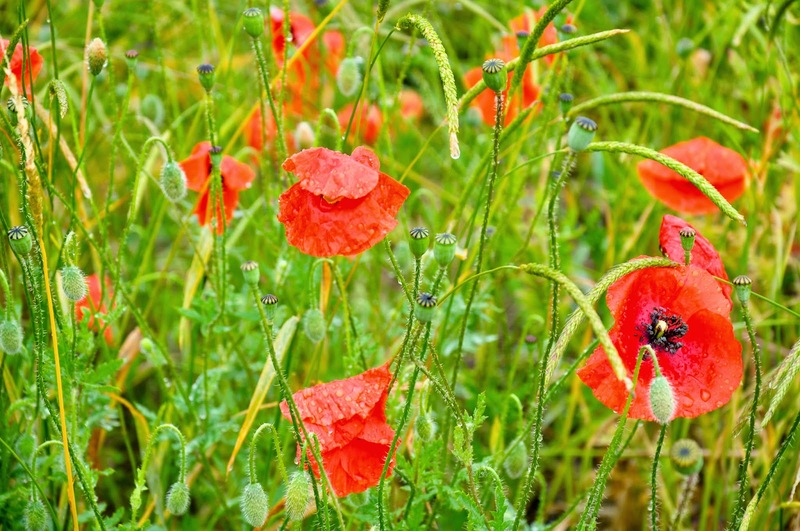 There is something so captivating about poppies. With their silky petals and long furry stems they seem to appeal to our desire for a rustic idyll. Their bright red colour always makes me think of golden wheat fields dotted with poppies and blue cornflowers under a hot summer sun. It is not summer yet in Veneto – the Northern Italian region where we currently live, but we have been enjoying a glorious sequence of hot bright days, which was suddenly cut short. On Wednesday afternoon the sky turned a dramatic grey and since then strong rains have been drumming on our rooftop at all times of the day. Rain or not, Saturday was pencilled in as a poppy spotting day, so after asking around where the poppy fields were, we piled in our little red car and drove off. Honestly, I am eternally grateful to my husband that he is willing to go along with my crazy plans! 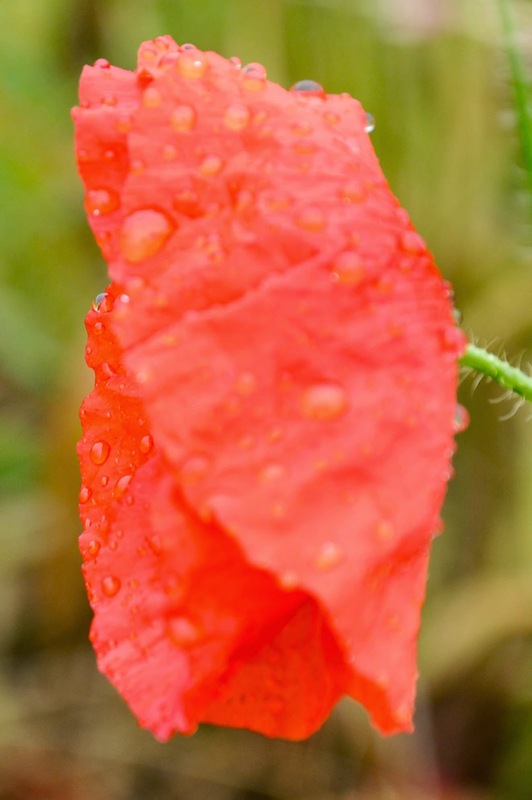 Ten minutes outside of Vicenza’s reach we still hadn’t spotted any poppy fields, but the rain had intensified. We passed by several sleepy villages huddled at the bottom of the Berici Hills. The Veneto countryside was impossibly green and lush. Houses hunched silently and church bell towers were stretching up all the way to the overcast sky. We passed through Longare, then Costozza and Castegnero. Still there were no poppy fields to be glimpsed. Soon, we could see the Euganean Hills on our left-hand side, standing tall with the haze which usually covers them washed off by the rain. We drove by fields densely packed with still green wheat-ears. 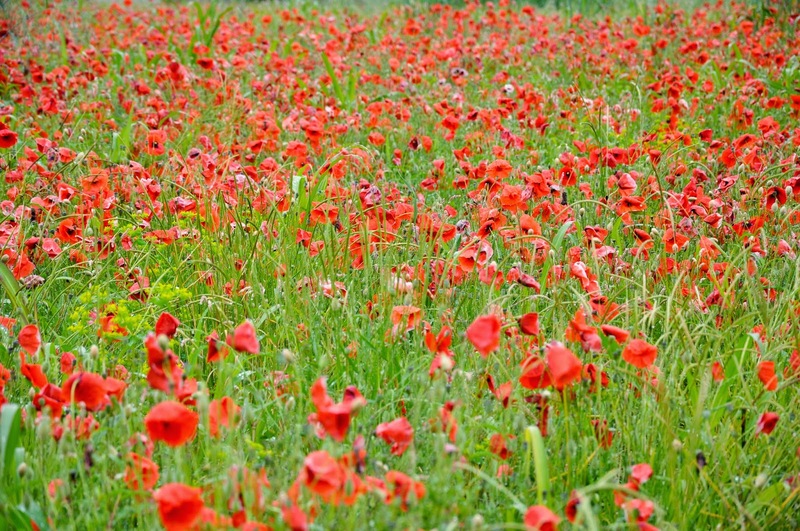 And just when we were about to start making other plans for the day, we finally spotted our poppy field. 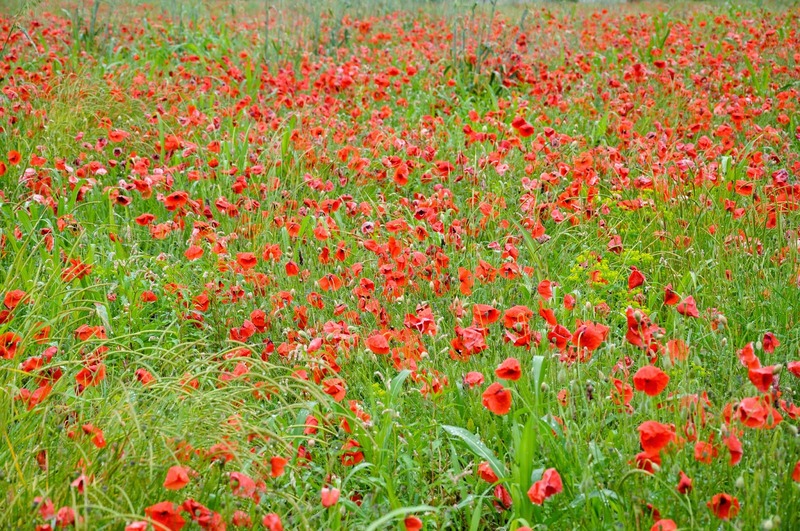 We parked safely on a backroad and stepped out of our little car which, come to think of it, is the perfect poppy shade of red. 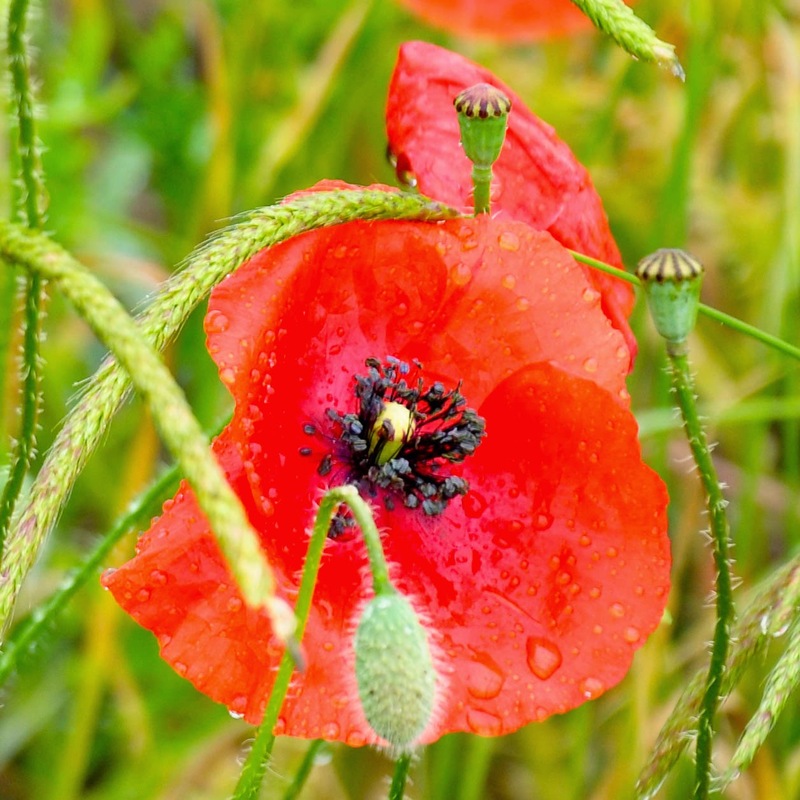 The poppy field was waiting for us under the constant drumming of the rain. We stepped off the road onto the grass. Our shoes were stalling in the soft muddy soil. The poppies were hugging each other trying to withstand the deluge. 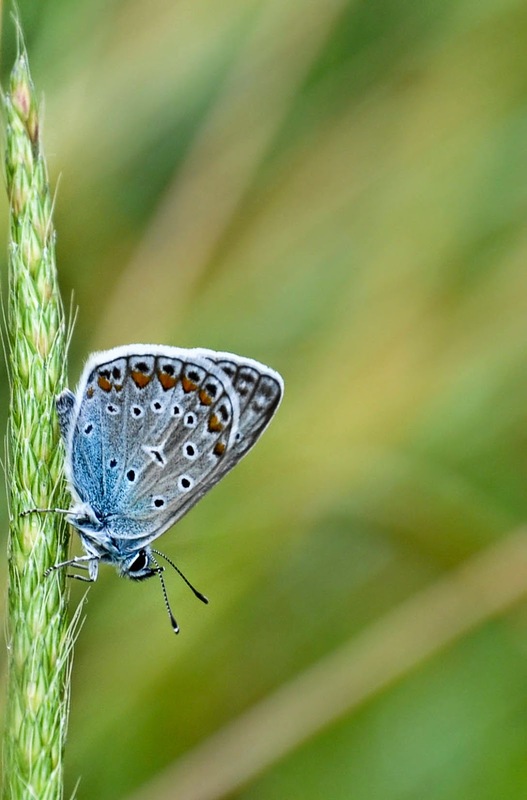 In the dense vegetation around us several tiny beetles and a blue butterfly had also found shelter from the rain. It felt good being out in the countryside surrounded by such beautiful sights. 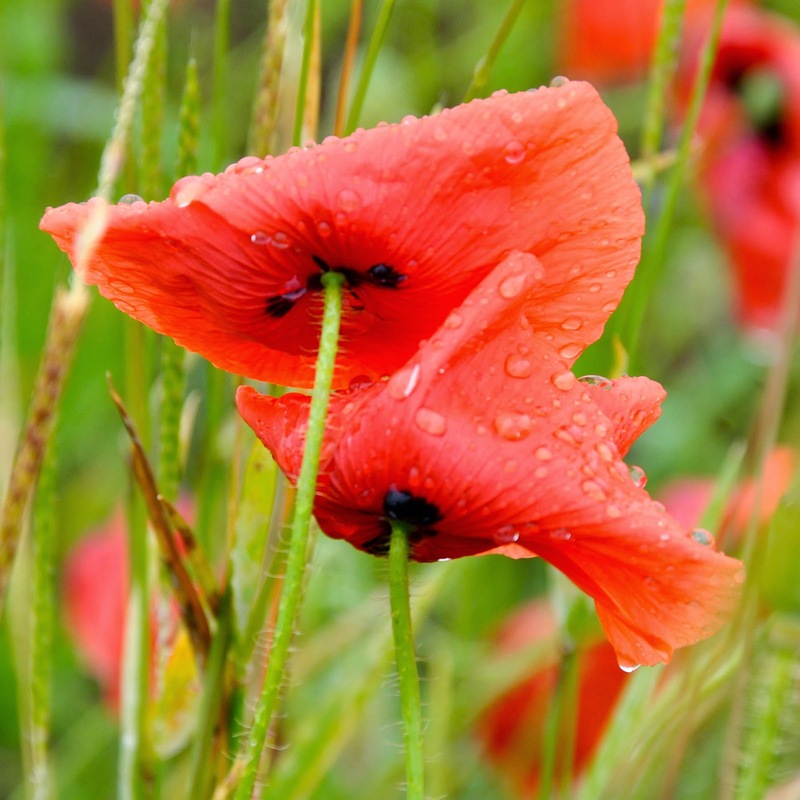 The air felt clean and fresh and the poppy field was vibrantly red. It was a lovely way to start the weekend. I hope your Saturday was good, too.